Here is the coldest place i've found so far. At 2.722K it is as cold as the rest of the universe since the black hole they orbit gives almost no heat. 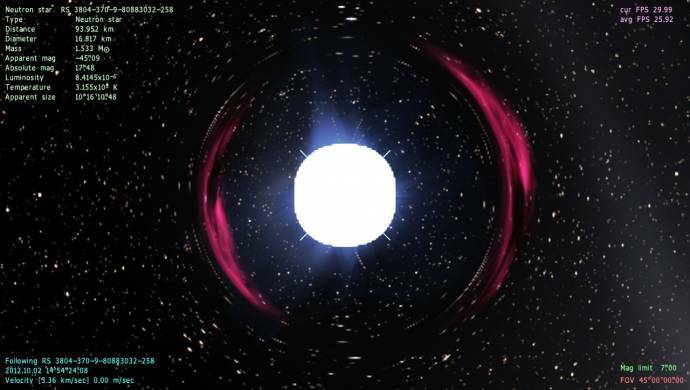 At 2.722K it is as cold as the rest of the universe since the black hole they orbit gives almost no heat. I don't think it can get much colder than this. I didn't even think it could get that cold to begin with. 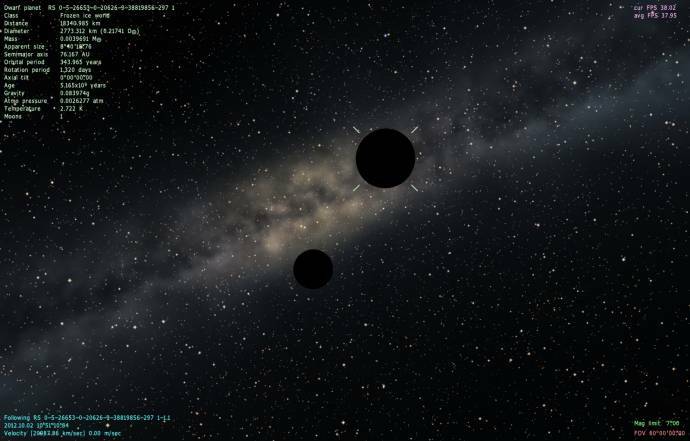 One time I put an object in orbit around Sol at a distance of around 50 parsecs or more, and its temperature was 3.001 K. I figured that temperatures asymptotically approach 3. I guess not. The hottest stars would be hot O and B class stars and neutron stars. It should asymptotically approach the CMB temperature at ~2.73K. The heat from distant stars is negligible and a star would have to be very close (much closer than Alpha Centauri) to affect it. It was not close to any other stars, and in fact it was orbiting Sol (at a 50 pc radius) in 1.5 seconds, so even if it did pass near a star it would only be there for a few milliseconds. Lol, did you turn sol into a supermassive black hole because there is no way that Sol, as it is now, would have done that, not to mention that such an object would be going at FTL speeds. I made the object to serve as a camera path, I wanted to try to record a seamless star trail for use in an animated forum avatar. Once I had aligned the camera, I would simply disable planet rendering and begin recording.